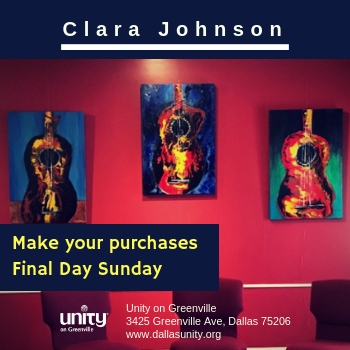 Join us in the Gallery to experience the creative, colorful works of Clara Johnson in the Gallery. 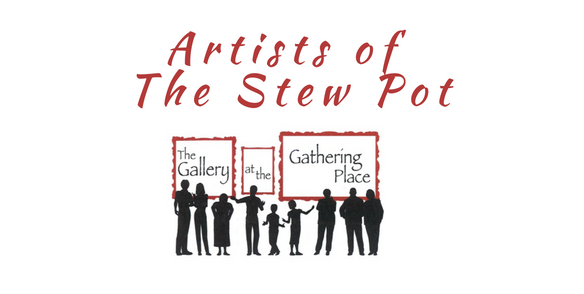 Art is now available with paintings as well as pillows, prints, scarfs and greeting cards. "When I paint I find it inspiring to try new things, just to see what happens. I enjoy letting the painting tell me what the next step should be. I paint with watercolor, acrylic, latex, oil, and create a collage and mixed media works of art. The common thread that runs through my artwork is the use of bold color, texture, and a sense of mystery. Creating and conversing through my artwork excites my soul." 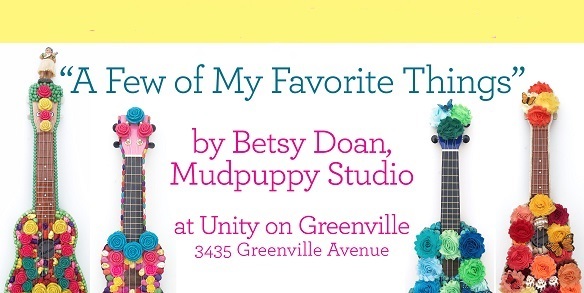 Amie Maciszewski will have scarfs, wraps and other interesting items from Pakistan. 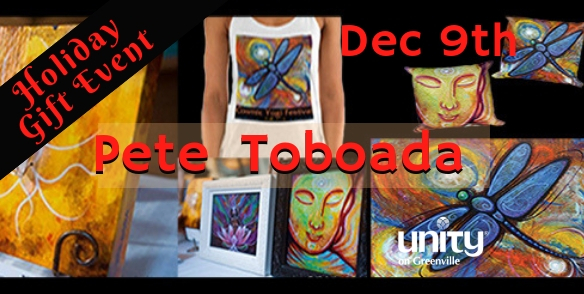 Pete Toboada will be displaying his art and decorative items too. 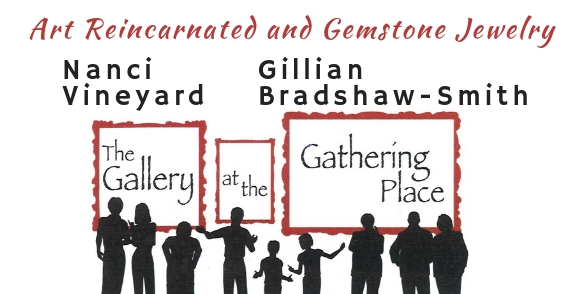 Join us after the Celebration Service for some unique gifts for yourself and your loved ones. 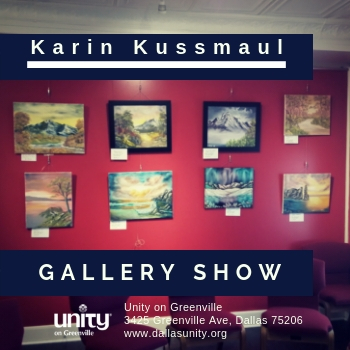 Join us before and after Sunday Celebration Service to view in person the luminous colors and feeling of Karin Kussmaul's oil paintings in the Gallery next to the Bookstore. "I feel so accomplished after I've finished one of my paintings. I put all my feelings and emotions into them and enjoy people's reactions to my artwork. It makes me happy when people love my paintings. I just love to paint all day!" 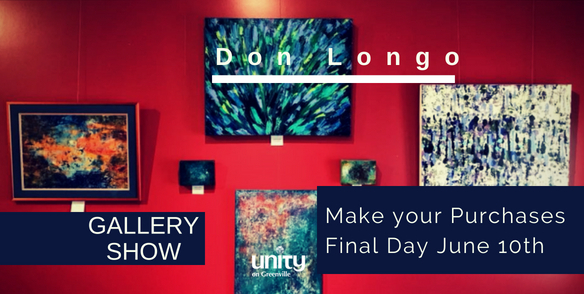 More on Don Longo here..
Natalia Veronica Brings Art Into the Everyday! Being a native to New Orleans LA, Natalia grew up enriched in the city's artistic history. After studying Fashion Design, traveling globally, Natalia decided to create a line of handcrafted wearable art. Due to inclement weather, Evening Reception is rescheduled to March 15th at 5:30 pm. 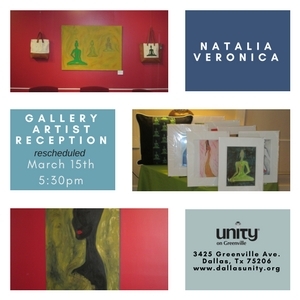 Both receptions are outstanding opportunities to meet Natalia and discuss her individual pieces and their "stories". Up until the era of the Industrial Revolution, weavers, whether they were homemakers or professionals, provided fabrics needed for daily use: clothing, rugs, blankets, curtains, towels, bed and table linens, saddle blankets, etc. With the Industrial Revolution, mechanized looms made the mass production of clothing and household goods efficient and economical; handweaving was no longer a necessity. The process of weaving by hand evolved to be valued as a pleasure, as a means of creativity and self-expression. As a weaver today, I strive to make my fabrics aesthetically pleasing, whether the cloth is to be used as an artistic wall piece, as clothing or as fabric for the home. A handwoven blanket should have a pleasing visual design. It also should be soft and not scratchy. A good kitchen towel is absorbent. A rug tightly woven will be durable and stable on the floor. Fabric for clothing should be woven tightly enough that it won’t snag easily, but yet should be soft enough to “drape” comfortably. So the weaver of functional cloth has various types of design elements to consider in the production of an aesthetically pleasing fabric. 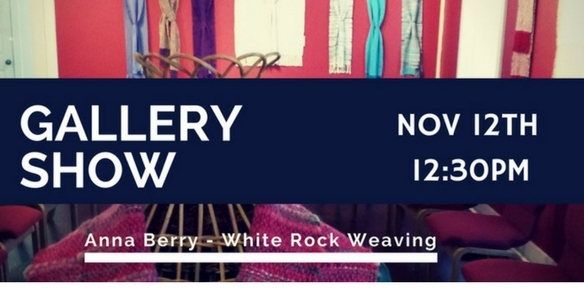 At the White Rock Weaving Center, we produce a wide range of types of handwoven fabrics: wall hangings, clothing, and fabrics for the home. Our students’ levels of experience in weaving range from a few weeks to about sixteen years. I do hope that you will enjoy seeing my work!